Privacy is your right and our obligation. We want to be a healthcare partner that you can trust, without fear. 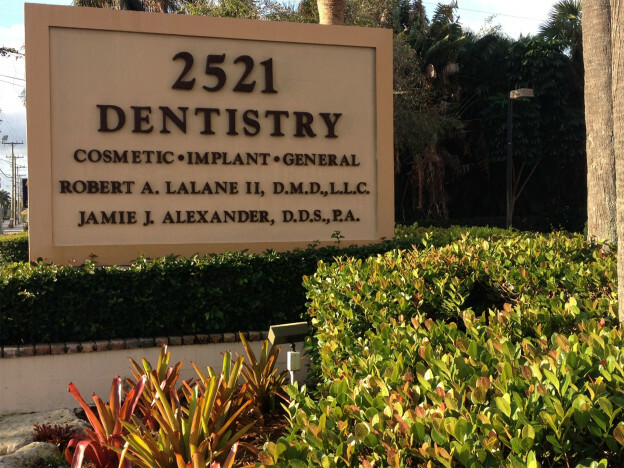 Welcome to the Boynton Beach dentistry practice of Dr. Jamie J. Alexander, DDS, PA. We invite everyone to visit us and feel for themselves the warmth and sincerity of the entire team. Out practice is devoted to not only quality comfort and care in dentistry, but also the more specific dental care that is needed for those recovering from addiction. Dr. Alexander has a deep understanding of human emotions, PTSD and addiction behaviors, and systemic health issues that can influence a patient’s dental experience and ultimately, their acceptance of care. Function and beauty in both dental and general health. The respect and compassion all patients deserve, regardless of their oral health or circumstances. These principles and practices have allowed us to build long-term relationships with patients and provide them with services that are customized and appropriate for each individual. They have enabled us to work successfully through phases of dentistry with patients who have complex problems, and they have enabled our practice to successfully offer a niche in recovery dentistry, serving patients who are recovering from addiction. Each person in recovery deserves the best health, the best happiness and the best smile! You deserve a fresh start, so let us show you how to change your life one visit at a time! Many dentists (and doctors as well) routinely prescribe pain medication without knowledge of their patients’ past (or present) addiction to drugs and/or alcohol. May patients are afraid to discuss their prior substance abuse history for fear of being judged, handed over to authorities, or due to shame and guilt. Trust is Critical When you’re new in recovery, it isn’t always easy to share about your history of substance abuse. In fact, it can be downright scary. 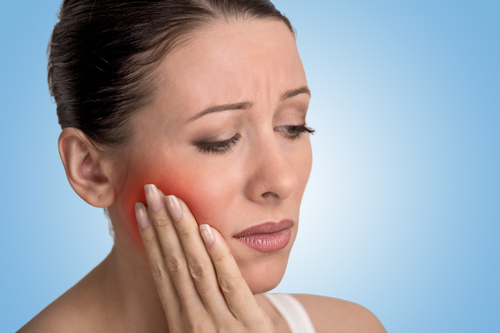 Dr. Alexander and his staff understand that, and we also know that prescribing certain medication for dental pain without these facts might just trigger a relapse. And that’s the last thing either of us want. That’s why it’s critical that you understand that there is no judgment in our office; we are here only to support you, encourage you, help you and restore you to dental health and wellness. We understand that when we listen to our patients in recovery without judgment, we create an empathetic, honest, and open relationship that is mutually beneficial. Pain-Free Procedures Dr. Alexander practices a conservative approach to pain management during and after any dental procedure. 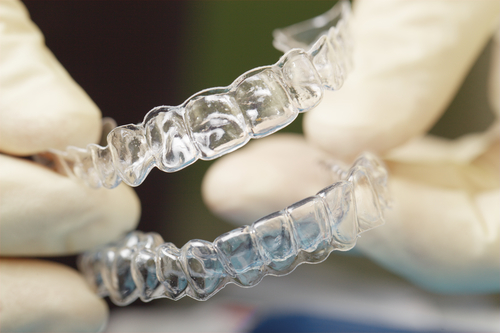 Starting with the sequenced delivery of Novocain and continuing through each procedure, Dr. Alexander is steadfast in his efforts to minimize or even eliminate any pain typically encountered by dental patients during some dental treatments. Alternatives to Opiate Painkillers Dr. Alexander is a firm believer that non-steroidal anti-inflammatory drugs (NSAIDs), such as Ibuprofen and acetaminophen, in combination are effective anti-inflammatories for relief of dental pain. When working with drug-sensitive patients in recovery, prescribing any medication that has the potential for abuse is definitely to be avoided. Combinations of acetaminophen and ibuprofen are proven just as effective to manage acute dental pain as more habit forming prescription painkillers. Opiate medications carry an inherent risk for chemical dependency. Dr. Alexander is acutely aware that those in recovery can relapse when prescribed these types of medication to manage pain. He makes it a point to discuss drug-free options to deal with pain with every patient, but he is particularly focused on helping his patients in recovery feel safe and understood. WE CATER TO COWARDS We’ve never heard a patient remark, “I can’t wait to see Dr. Alexander! I love going to the dentist!” So if you’re nervous about scheduling a visit, please understand, you’re not alone. Many patients put off seeing a dentist because of fear – fear of the unknown, fear of pain, fear of being ridiculed or humiliated. Rest assured, Dr. Alexander and his staff cater to cowards. It’s our personal mission to make a believer out of you that today’s dental procedures really are painless! What Are You Afraid Of? Sometimes it helps to list your fears. Are you afraid of the needle that administers Novocain? Do you hate the sound of the drill? Did something unpleasant happen in a previous dental visit? Does the number of visits scare you? Are you nervous about payments? Make a list of what scares you and we will be happy to discuss these with you when you’re in the office next time. 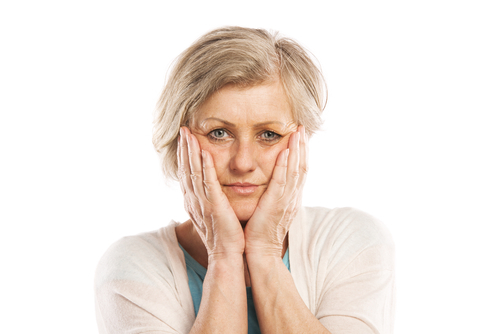 You Are Not Alone Plenty of our Boynton Beach patients had dental visit anxiety, just like you. But we make it our mission to address all your fears so you feel comfortable and secure, knowing that we always have your best interests top of mind. We will talk through all of your concerns and anxieties so that you know everything you need to know prior to each and every treatment. Call us at 561-732-8877 and let’s get started on restoring your dental health and a confident smile! HELPING YOU MAKE A GREAT FIRST IMPRESSION After you complete your initial treatment in recovery, one of the first things you may decide to do is to look for a job. Working is a way to re-enter society in a healthy and productive way. But how confident are you about your appearance? Certainly, you look better than days gone by, but your teeth may be showing signs of your former self in addiction, and may be keeping you from looking for a better job, or one that places you in the company of a lot of co-workers. An Attractive Smile Opens Doors to Opportunity As part of the your recovery, you may want a return to an attractive smile that will more easily open doors to new and better job opportunities. The damage to your teeth caused by your substance is an ever-present reminder of your past – a reminder that can still make you feel “less than” or unworthy. Addressing your most pressing dental issues in the short-term helps you regain that confidence you need to present yourself well to potential employers. We Can Help You Nothing gives Dr. Alexander and his staff greater pleasure than to watch the transformation of a patient in recovery. Many walk in our door feeling sad and dejected, ashamed of the way they look, afraid to smile. Once we begin the rehabilitation process, first addressing the more acute issues, we see a change. We witness restored confidence and pride. And doors start opening – making those restored smiles even wider! Call us at 561-732-8877 and let’s discuss how we can get you smiling again so you can nail the interview and get the job! It’s Time to Smile Again Active addiction may have left its mark on you in many ways – but none may be as noticeable as your smile. While the drugs themselves may not be responsible for the damage to your teeth, certain side effects of the drugs or behaviors associated with using can cause most of the damage. Substance Abuse Damages Teeth Common behaviors and side effects of substance abuse that damage teeth include: “Dry mouth” that often occurs with some drug use (i.e., smoking cocaine). This prevents the production of saliva that is important for protecting your teeth. 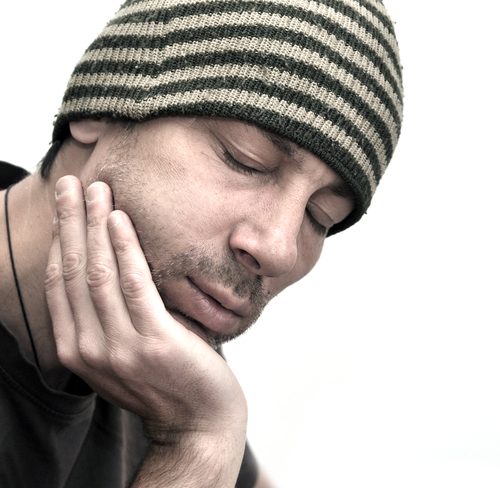 Teeth grinding (bruxism) that often increases with substance abuse. The consumption of sugary drinks (i.e., energy drinks, soda), often more frequent when in active addiction, is a primary factor in tooth decay. Oral hygiene neglect (not regularly brushing, flossing, and seeing a dentist) that also damages teeth. Fortunately, taking the first step and deciding to enter recovery marks the beginning of feeling good about yourself again. 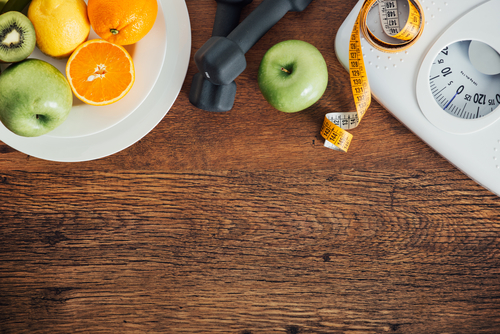 As you start to settle in to your healthy new lifestyle, you may notice the damage done to your teeth due to years of neglect. Because your teeth are one of the first things that people notice about you, your feelings of self-esteem may not be where they could be, and you may be having trouble chewing, getting a job, or meeting new people. 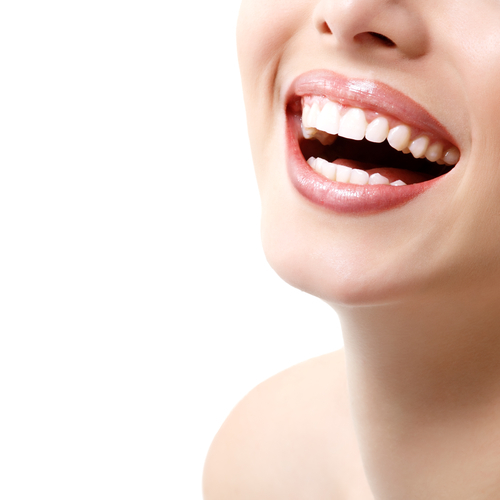 If you’re embarrassed by your smile, we can help you feel good about yourself. 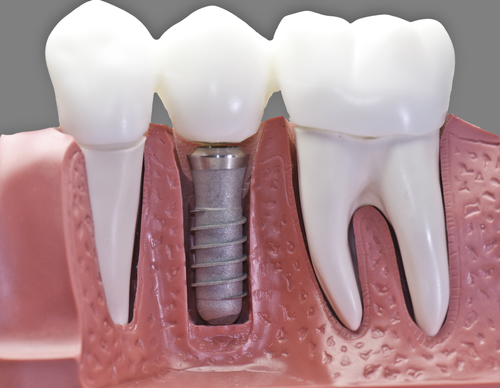 Recovery Dentistry is a Process Dentistry in recovery is a process, with both short and longer-term goals. If you’re in early recovery, Dr. Alexander will focus on any dental urgency you may have, with the priority to restore comfort as soon as possible. Perhaps you need a thorough dental cleaning. If so, we’ll focus on that to help your teeth and gums to feel clean and fresh again. You may have some complex dental issues that we need to address. In that case, we’ll complete a very thorough exam and spend time discussing what your treatment goals and desires. 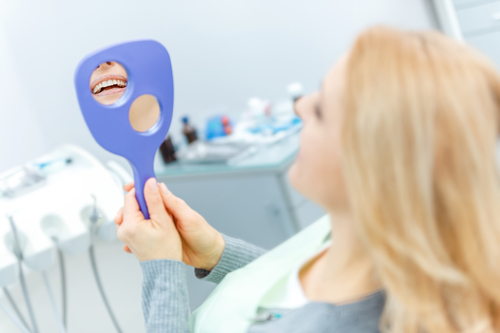 We’ll prepare a comprehensive treatment plan and schedule a consultation to discuss our findings and various treatment options to address your specific dental needs. Maybe you just want to check us out or obtain a second opinion. We can schedule a brief visit and you can your our office and meet Dr. Alexander and his team. We can address any questions or concerns you may have at this time. You Can Trust Us Many patients initially feel afraid about seeing a dentist. Rest assured that at in our Boynton Beach practice, we are not here to judge you or hurt you in any way. We will maintain your confidentiality and provide a safe and secure environment in which you can receive quality dental care, with a staff who understands your unique circumstances. We are partners with you in your recovery journey and will never prescribe or use any type of habit-forming medication in your treatment. We only use and prescribe non-habit-forming anesthetics and pain medication with our patients in recovery. That is why it is important that you share your story with us. Take the First Step Don’t be afraid to contact us. If you’re afraid or embarrassed, please understand that we have seen many patients just like you and have been able to help them smile again, proud of the way they look and feel about themselves. We’re here to help you too. Call us at 561-732-8877 and let’s take the first step to restore your smile. TRANSFORMING SMILES Do you move your hand over your mouth when you speak? Do you always smile with your mouth closed? Do you tend to avoid talking to people up close and personal? Your smile may be damaged due to substance abuse and years of neglect. As a result, your confidence may be affected. You find it hard to meet new people or even find a job. Because we understand that a pleasing smile has the power to make you look and feel attractive, to make someone else smile, and actually makes you happy, we want to help restore your smile and your confidence! In fact, we specialize in transforming smiles in Boynton Beach. Healthy Teeth Make You Confident | Boynton Beach Dentist When your teeth are healthy, beautiful and functional, you’ll want to smile with an ear-to-ear grin, demonstrating renewed confidence and a zest for life.. We can help you get and keep that smile you desire, no matter what shape your teeth or in or how long it’s been since you’ve seen a dentist.. After attending to any active disease in your teeth and gums, we’ll plan an affordable dental plan that will lead you to that beautiful, restored smile you desire. Oral Health and Smoking Cessation There’s a direct link between unhealthy lifestyle habits and your health. 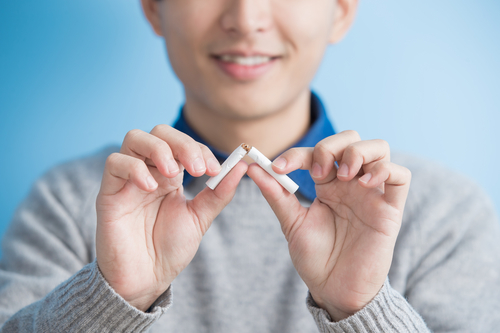 In addition to recovery dentistry, Dr. Alexander has expertise in helping patients with smoking cessation, nutrition, and stress management. He can also help you manage the effects of medication and chemotherapy, if applicable, on your oral health. I have had a keen interest in chemical dependency since initially studying the subject in two Integrated Social Science (I.S.S.) courses during my undergraduate studies at Michigan State University. In dental school at the University of Michigan, we had several lectures on chemical dependency during our Pharmacology and Psychology courses. Again, my interest was piqued. But it was not until I had the opportunity to work with and positively help several patients in my practice that I became immersed in learning all I could about their special circumstances and how I might make a real difference as a health care provider. I have a dedicated focus within my general dental practice on dentistry for those affected by drug and alcohol dependency. To serve my patients to the best of my ability, I made a personal commitment to seek additional formal education. I am proud to have earned a Certification in Addiction Studies from the University of Michigan Master’s Program within the School of Social Work. This formal education, coupled with my life experiences with people I deeply care about and patients who have come to me with chemical dependency, have motivated my decision to specialize in this unique dental practice.